Summa Group subsidiary interim manager demands $260 mln from Magomedov brothers | Russian Legal Information Agency (RAPSI). 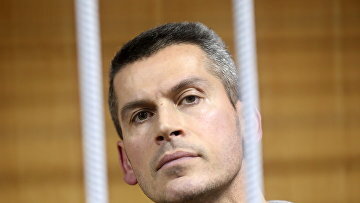 MOSCOW, November 21 (RAPSI) – A temporary manager of GlobalElectroService company, a subsidiary of the troubled Summa Group, has lodged a claim with the Moscow Commercial Court seeking to recover 17.1 billion rubles (about $260 million) from Ziyavudin Magomedov his brother Magomed and 14 other individuals and companies, according to court records. The application has been put on hold until December 17. In September, one of the largest Russian banks, VTB, filed an application with the court demanding to include a 429.9-million-ruble ($6.5 million) debt of GlobalElectroService in the creditors demands list. In August, a monitoring procedure was initiated against the company on the request of NT-Com Engineering. Summa Group owner Ziyavudin Magomedov and his brother Magomed are involved in the organization of a gang, embezzlement of 2.5 billion rubles (about $38 million at the current exchange rate) from the state budget and withdrawal of some of these assets abroad, investigators claim. Magomed Magomedov is also charged with illegal weapon possession. They have been detained along with ex-CEO of Intex construction company Arthur Maksidov. In November, their detention was extended until February 2019. 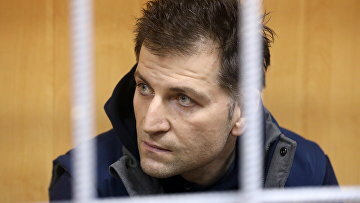 At the same time, it was discovered that Ziyavudin Magomedov and his brother had been additionally charged with stealing 300 million rubles ($4.6 million) during the construction of a highway in South Siberia in September 2014. The defendants have pleaded not guilty to the charges. Moreover, according to investigators, French authorities have opened a tax evasion case against ex-wife of Ziyavudin Magomedov Olga, who owns several restaurants in France. No other details have been disclosed. 11:53 21/11/2018 A temporary manager of GlobalElectroService company, a subsidiary of the troubled Summa Group, has lodged a claim with the Moscow Commercial Court seeking to recover 17.1 billion rubles (about $260 million) from Ziyavudin Magomedov his brother Magomed and 14 other individuals and companies.